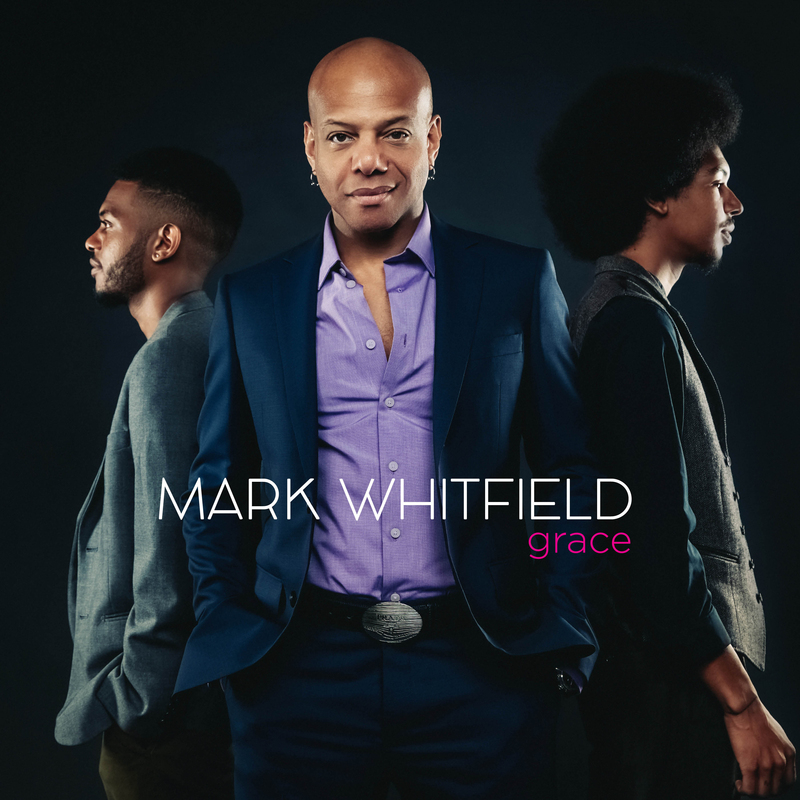 Mark Whitfield and his sons release their sparkling debut. During the 1990’s, Mark Whitfield would bring his two young boys, Davis and Mark Jr., to his gigs around town. They would sit on his amps during soundchecks, hang out in dressing rooms after sets and generally make theselves comfortable at storied New York Jazz Clubs like Birdland, the Blue Note and Small’s. Two decades later, the guitarist’s sons are now mature musicians – pianist Davis is 23, drummer Mark Jr. is 26 – making their way in the jazz world and playing alongside their proud father in the newly formed Whitfield Family Band (which includes honorary family member Yasushi Nakamura on bass). The group’s debut recording, Grace, on Whitfield’s Marksman Productions label, is an eclectic affair with material that ranges from uptempo burners like “Double Trouble” and “The Socrates Curse” to the relaxed and shuffling “Blue D.A.” to the graceful ballad “Space Between Us” and the funky “Fortress”. The sons play authoritatively and solo with the same audacious streak their father demonstrated on his own debut as a leader 1990’s The Marksman recorded when he was 23. Davis initially studied classical piano in Hoboken, New Jersey before Mark began bringing him along to jazz summer camps where he was teaching, exchanging his salary for full camp scholarships for his son. As Davis grew up, he received invaluable tips from pianists Billy Childs and Rachel Z and from other colleagues of his father. Meanwhile, Mark Jr. sat in with his father’s band at age 2, appeared with Mark on Good Morning America at 4, and subsequently studied the rudiments of jazz drumming with several of his father’s peers. Both brothers eventually attended Berklee College of Music, where Davis studied with Joanne Brackeen and Mark Jr. studied with Ralph Peterson.